1280X800 resolution power, user-friendly design and SuperColor technology for a broad color range. This is the best outdoor projector. ViewSonic PA503W: Available at a reasonable price of 392.46 dollars, ViewSonic PA503W 3600 is by far worth its price given its many attractive features, user-friendliness and high brightness and long lamp life. It provided an impressive performance in our small company boardroom reproducing the finest details of our elegant furniture and accessories. The projector is easy to set up; you simply plug and your pictures, videos, and presentation. The advanced SuperColor technology gives you a broad range of displayable colors thus delivering true-to-life color accuracy, without compromising on image quality, regardless of the lighting conditions of your settings. ViewSonic PA503W boats of flexible connectivity compatible with virtually all media players including Macs, Personal computer, and smartphones. For these reasons, this model rightfully earns our vote as the best projector in its price range. It delivers bright images thanks to 3,600 ANSI Lumens and a high contrast ratio 22,000 to 1 that produce bright images in any setting, including in rooms with very high ambient light. It also provides remarkable color accuracy due to the presence of ViewSonic’s patented SuperColor Technology capable of displaying a full range of visible colors. These features ensure you get more realistic and precise colors both in dark and bright environments. You can easily turn on your projector using two simple settings. The first is Direct Power On which involves simply plugging in the power code and pressing start; the projector will automatically power itself on. The second is Signal Power On in which the projector powers on automatically when it detects VGA cable detection. Other user-friendly features include remote control functionality (it can be allocated to eight unique remote control codes within the same venue via a single remote control allowing easier operation). ViewSonic PA503W 3600 besides being compatible with most media players has a wide range of inputs that include VGA and HDMI. You can use the HDMI input to connect digital HD sources like Blu-Ray players and high definition cable or satellite boxes. Two VGA inputs are available for analog sources while the VGA outputs can be used to daisy-chain several displays or projectors so they can all output the same source. There are analog audio output and input as well as an onboard 2-watt speaker that ensures a good quality audio accompanies the video. 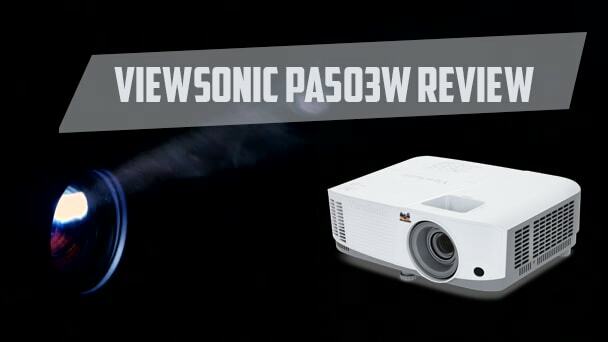 ViewSonic PA503W 3600 comes with different lamp modes. Users have the liberty to choose the mode that suits their requirements. 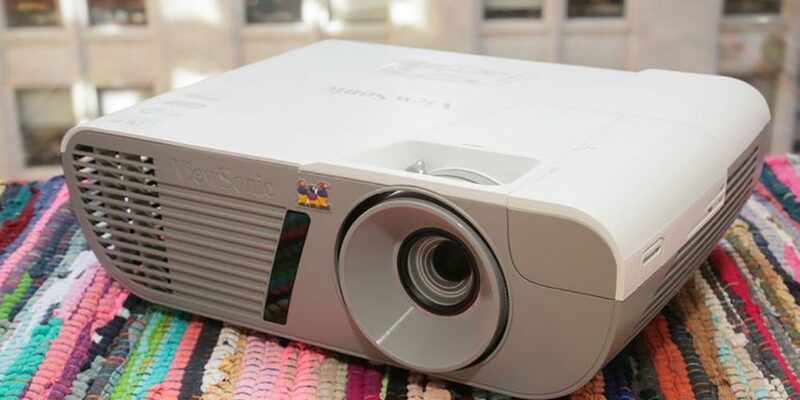 If you choose Power Saving Setting, and there is no input signal, the projector automatically switches to either Eco Mode or Super Eco mode thus saving energy. It switches from Normal to the former whenever you leave idle it for five minutes. If it does not receive an input signal for twenty minutes, it dims images to 70 percent thereby extending the lifespan of the lamp to an average of 15,000 hours. It performs exceptionally regardless of the lighting conditions of the room. It features ultra-low 16ms input latency that delivers fast frame by frame action. The energy efficient SuperEco mode reduces the TCO (total cost of ownership. A quick power off feature enables you to power the projector and pack it away in seconds. It only contains one HDMI input the package does not include HDMI cable. ViewSonic PA503W 3600 may appear costly but when you consider its features, capabilities, and design, the initial cost fades in significance. It performed wonderfully when we tested it in our small company boardroom delivering high accuracy images regardless of the ambient lighting. The projector gives you the freedom to choose from five different preset viewing settings and as such, you can choose the one that best suits your needs. It also gives you flexible connectivity since it has many input options (HDMI input, VGA input and output and analog audio input and output) and supports most of the commonly available media players.